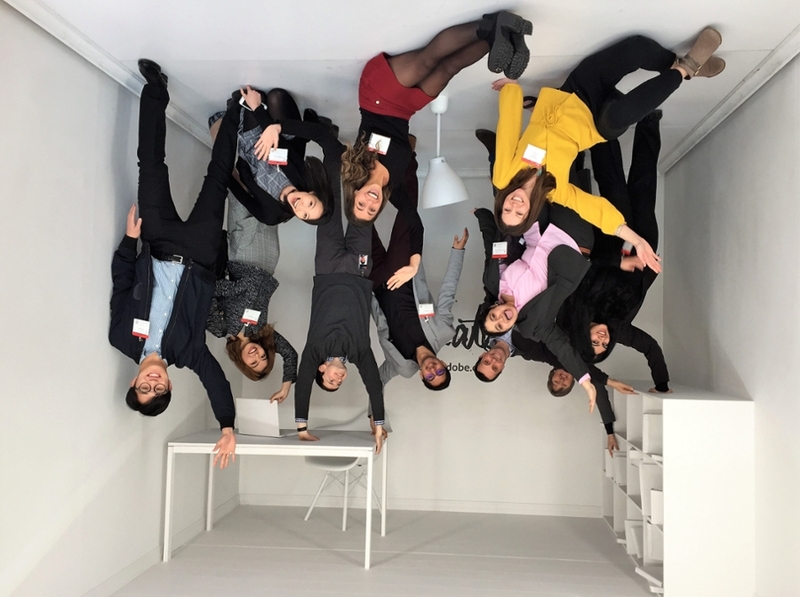 At Adobe (creators of Photoshop), students see their careers from a whole new perspective in the upside-down room. Zimeng Wang, MSBA '19 saw a glimpse of her future on the West Coast. 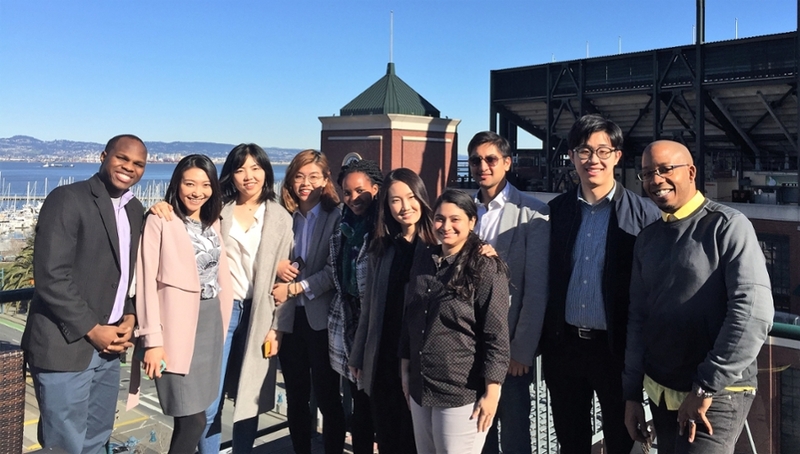 Thanks to Brandeis International Business School (IBS), Wang and 15 of her classmates spent February break touring top employers in San Francisco and Silicon Valley. 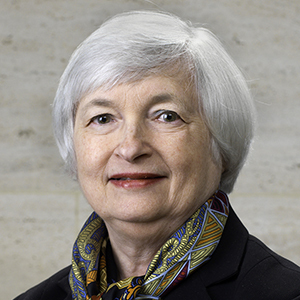 The annual Industry Trek to one of the world's hottest job markets is always popular. 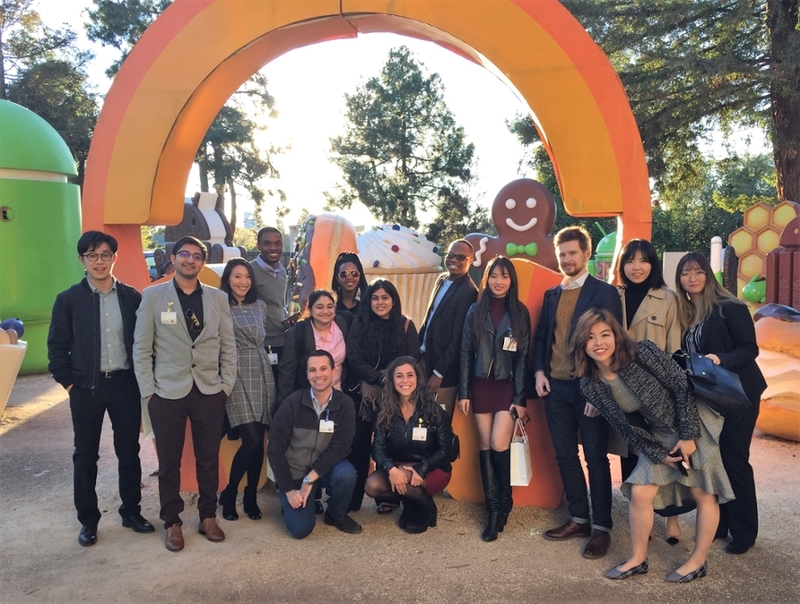 This year, students met Brandeis IBS alumni working at Facebook, Google, Apple, Adobe and HR software startup Reflektive. 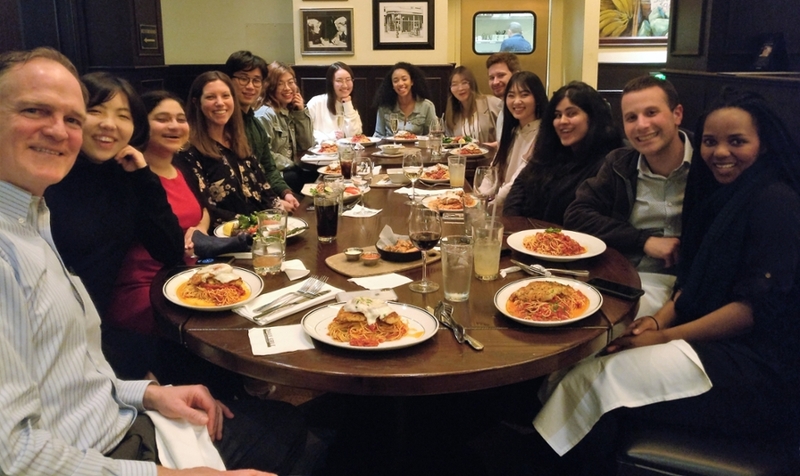 In addition to enjoying company tours and panel discussions, the group networked at an alumni reception in San Francisco. "Thanks to this trek, I have a clear image of how day-to-day work life looks in the tech industry and I've started to think about my dream career path," said Wang. "The networking event was also a valuable opportunity to get to know many alumni. 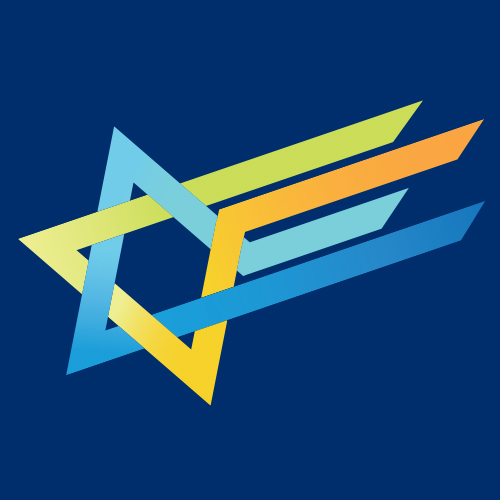 I now feel so connected to the Brandeis community on the West Coast." 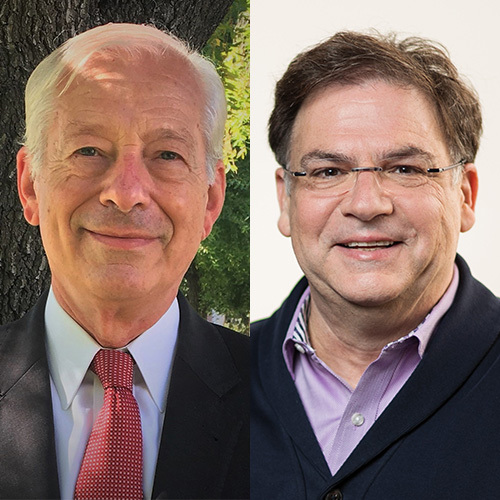 Below are photo highlights from the 2019 San Francisco & Silicon Valley Industry Trek. Kicking off the Industry Trek with a group dinner. Outside Adobe headquarters. 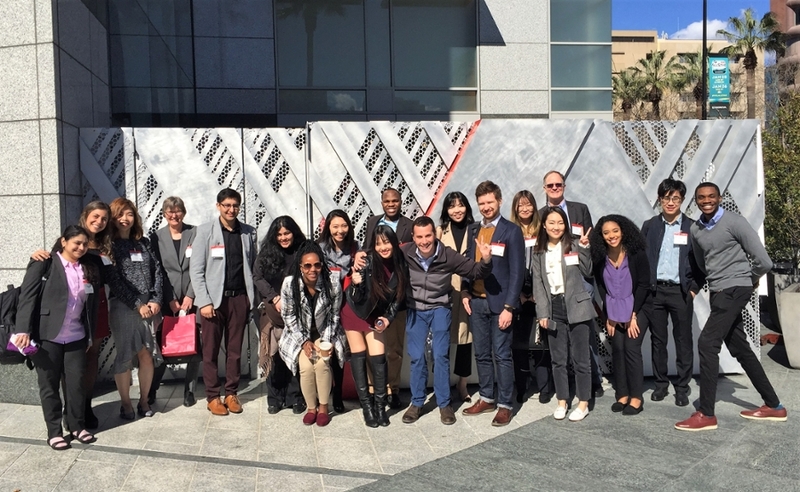 The visit was arranged by David Eydus, Accelerated MA '18, who works there as a product manager. The visit included a product management panel, campus recruitment presentation and tour. Greetings from Google! Brandeis alumni David Diamondstone '05, Yiran Li, MSF '14, Genevieve Oliveira '15 and Heather Yoon '15 discussed career advice and what it means to be "Googley" during a visit to the company’s headquarters. 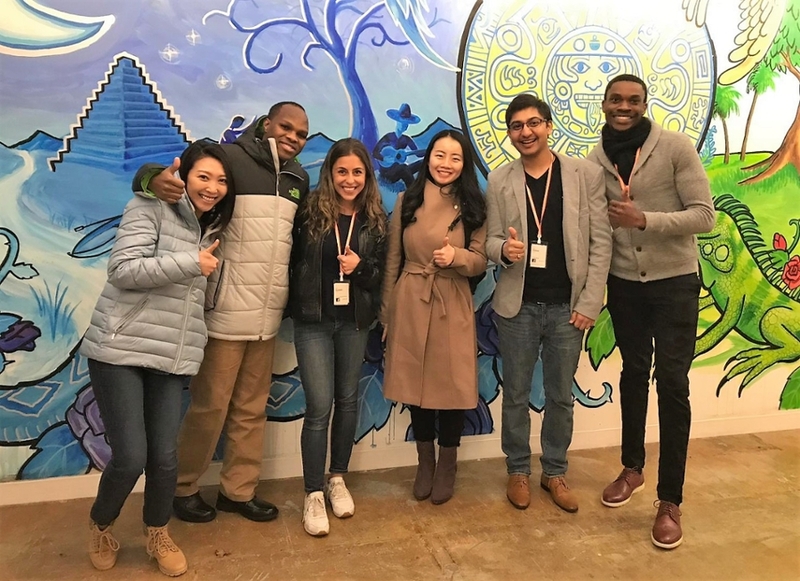 An Alumni-Student Mentoring match made in heaven: Brandeis IBS Mentor Vivien Zhang, MA '15 invited her mentee, current student Mduduzi Langwenya, MSBA '19, to tour Facebook and learn about her job as a data scientist. What makes Apple, Apple? 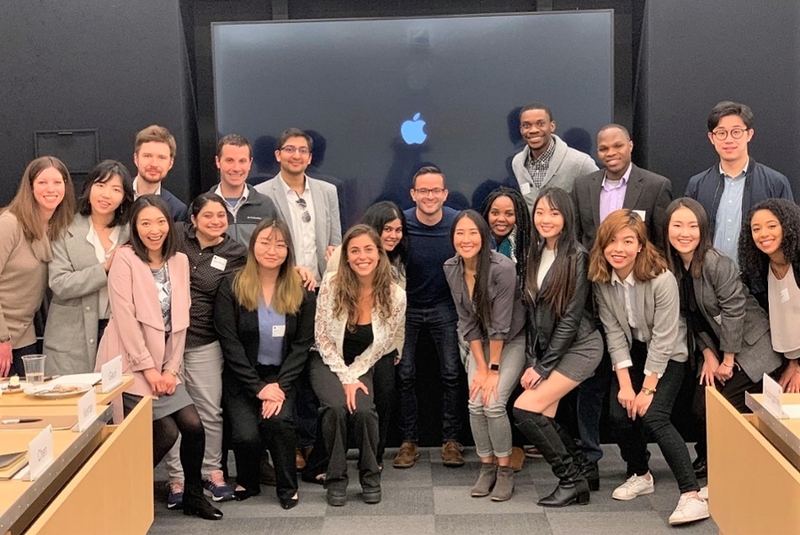 After a visit to Apple University and a morning spent with alumni Sebastian Scott, MBA '15, Antonio Cancio, BA '13, and Nissa Wisuttismarn, MBA '07, our students know the answer. 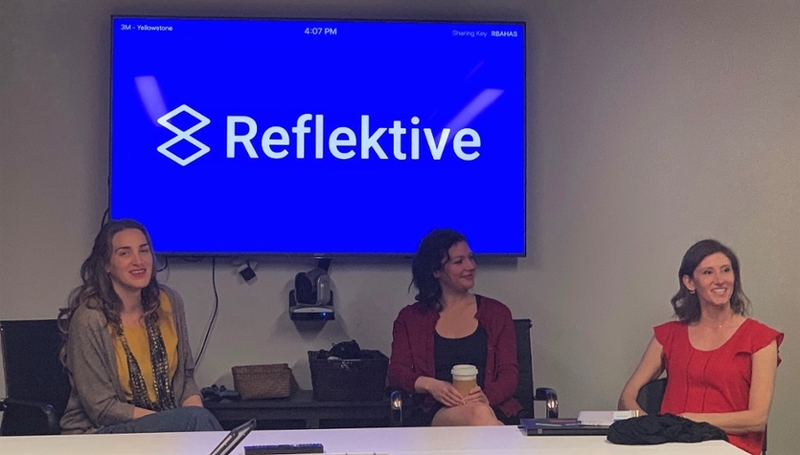 Reflektive’s Director of Employee Success Rachel Ernst, MBA '06 (right), talks startup culture, seed funding and career pathways during a panel with colleagues, including Director of Customer Onboarding Alexis Bourdamis (left) and Product Marketing Manager Rachel Kolander (center). Taking in the view from the Reflektive roofdeck. 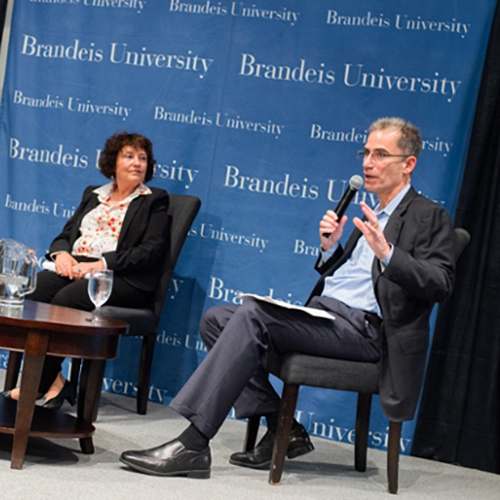 To learn more about the Industry Trek program or to host a company visit, email WorldReadyJobs@brandeis.edu.